It's simple and it's plain - a synthesizer simulator, and nothing is surplus! 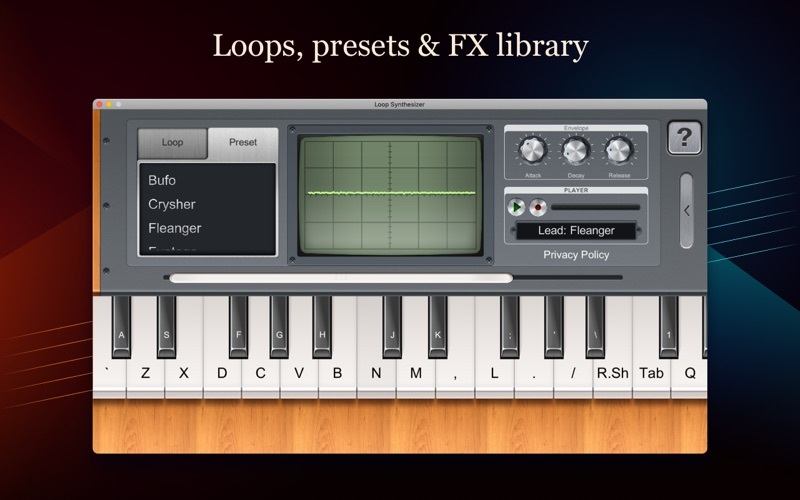 All you need to make an amazing song: 1) keyboard; 2) loops and presets; 3)sound effects. 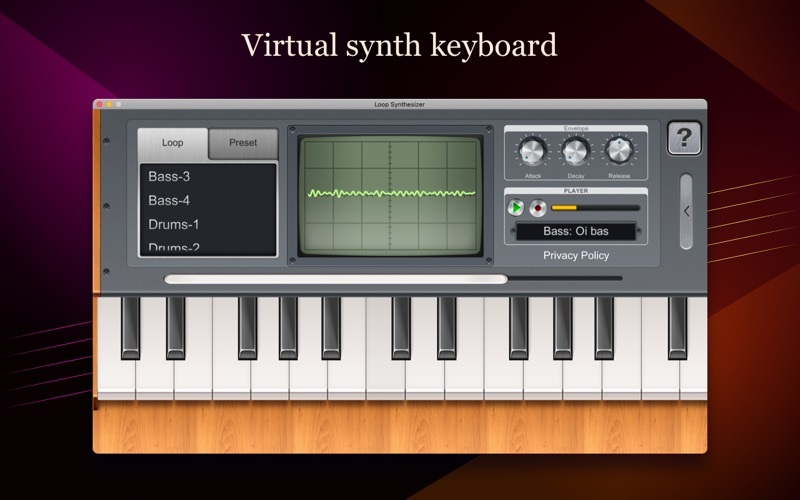 SYNTHESIZER KEYBOARD Use keys to compose music - you don't need a real piano anymore. LOOPS & PRESETS There is a great opportunity for you to make your song even better - you can find in the loops and presets library anything you want. ENVELOPE Use control attack, decay, release settings to adjust and change presets playback. 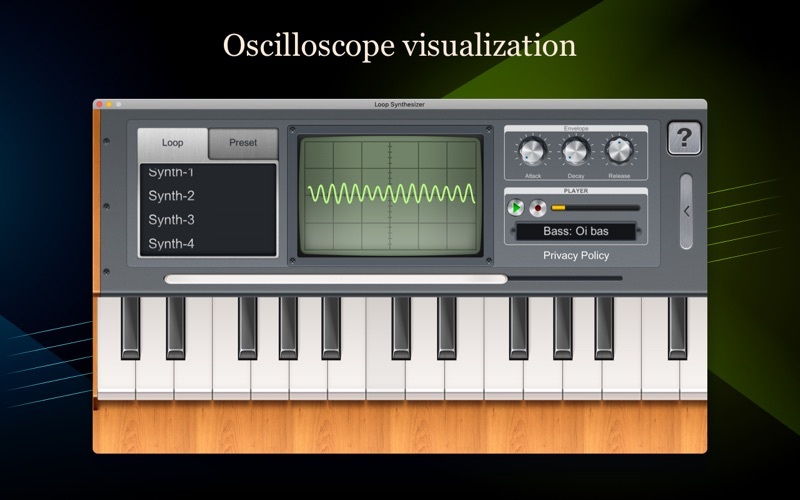 EASY TO USE Enjoy unusual and pleasant oscilloscope visualization.